Feel too grown-up to play hide-and-seek? Then, according to Tenney, you could be missing out on the chance to ""catch"" the God who eagerly awaits the childlike search of the heart and soul. Tenney follows up his bestseller The God Chasers by once again asserting that God longs for his children to chase him, and desires their emptiness to be filled with his presence. So how does one ""catch"" the divine? Tenney, a former pastor whose international God Chasers Network exists to inform and inspire Christians says, ""...if you want to attract His presence, brokenness is His favorite perfume and tears are His favorite anointing."" Tenney's overarching desire is to see God's presence and power fall heavily on the world's cities and communities. Despite his elusive subject matter, Tenney makes catching God seem possible as he draws upon everyday family life, making comparisons between the parent/child relationship and the Christian's relationship with God. Topics discussed include accepting the dichotomy between life's harsh reality and God's perfect kingdom as a good thing, the ""blessed state"" of feeling desperate, how the extent of internal emptiness can determine the amount of God's filling, and the soul's cry that opens the key to God's responsive heart. 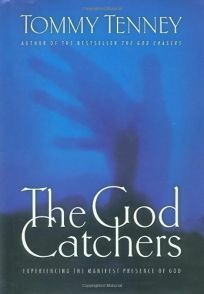 Faithful followers of Tenney's gospel will embrace this natural sequel to The God Chasers, and newcomers may also find themselves bitten by the God-chasing bug. (Jan.) Forecast: Tenney's The God Chasers has sold 700,000 copies and spawned related products such as devotionals. Given the continuing growth of the charismatic Christian audience, branded charismatic-interest books from major authors like Tenney should enjoy healthy sales.